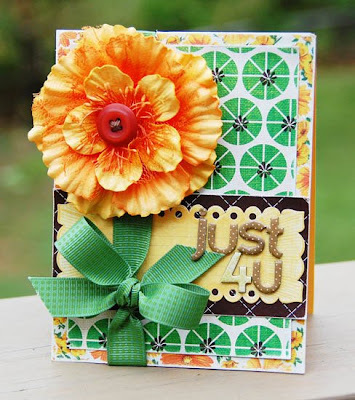 for all of the wonderful comments on my Paper Crafts blog hop project. (For those of you that asked, the flower on the photo holder I made was cut using the Cricut Expression and Tags, Bags, Boxes and More cartridge.) I was really overwhelmed by the number of people that stopped by and took the time to be so sweet. I appreciate each and every one of you. :) I also want to thank Cath Edvalson and Paper Crafts magazine for asking me to play along with the other amazingly talented designers. They ROCK! Well, I don't have a whole lot to show you all tonight. My computer has crashed (I am working on my husband's laptop), and I cannot access my photos. The Dell computer tech is supposed to come replace my hard drive in the next couple of days. I am hoping and praying that he will be able to pull my photos and important info off of the bad hard drive when he comes to put in a new one. I did not back up anything on an external hard drive. I will be so, so, so sad if he isn't able to save anything. Lesson: Make sure to back up your computer! 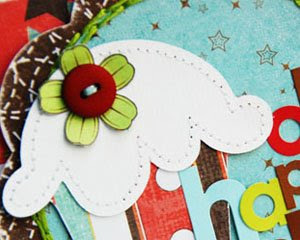 So, all I have to show you is a few is a few sneaks from the upcoming May card kit from Scrap N Supply Shack. I was asked to be the guest designer, and I had so much fun with the kit. 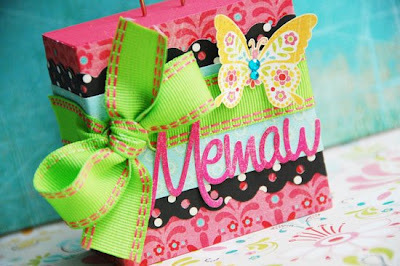 Lot of colorful papers and fun embellishments. Right up my alley! Be sure to check back on Friday, May 1st. I will be posting a sketch challenge, and one lucky person will win one of these beautiful kits. That's all for me tonight. Thank you all again! Hope you are having a great week. Hugs! 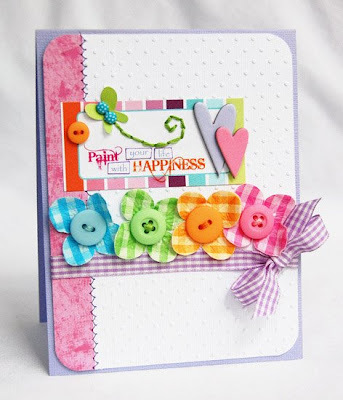 225 Cards and Gifts Blog Hop & Giveaway!!! 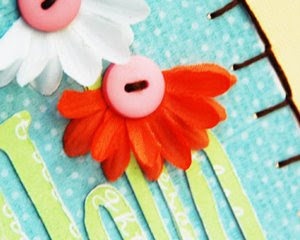 Cards and gifts are some of my absolute FAVORITE things to create, as you may already know. 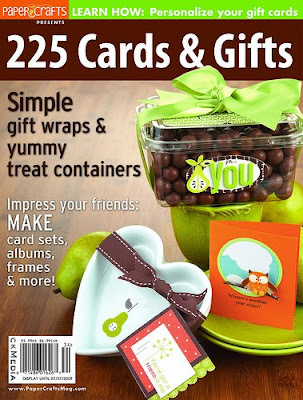 Well... Paper Crafts magazine has a new special issue called 225 Cards & Gifts coming out on April 28th. What does that mean for 3 lucky people? Prizes, prizes, prizes!!!! What prizes you ask? There are three AWESOME prizes up for grabs from Provo Craft: a Cricut Expression, a YourStory Laminator/Binder, or a Yudu Screen-Printing Machine. How exciting is that!?! This will give you 12 chances to win one of these fabulous prizes. The deadline for commenting on all 12 blogs is Sunday, April 26 at midnight MST. 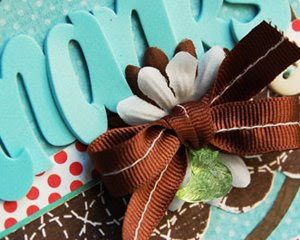 The winners will be announced on both the Moxie Fab World and PC Connection blogs on Tuesday, April 28. Well, I cannot wait to get my hands on a copy of this magazine! I know it will be jam packed with amazingly beautiful projects. So in honor of this issue, I decided to get out my supplies and work on a special gift for Mother's Day. 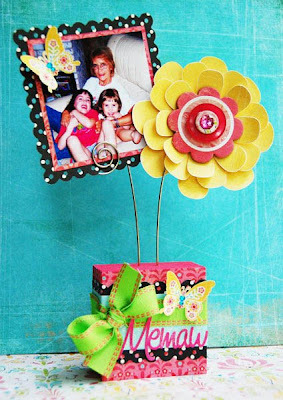 It is a photo holder for my mom. She is "Memaw" to my girls, and we are so very thankful for her. I hope she likes it. 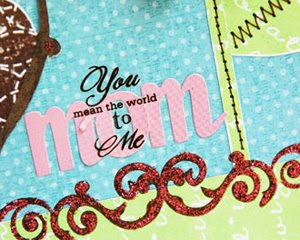 Love you, Mom! Hope you all have a wonderful weekend, and good luck. Thanks so much for stopping by! Sorry for the strange greeting, but my hubby and I just started watching That 70's Show in re-runs. It is hilarious! Not sure why we didn't watch when it was in primetime. Something else must have been on at the same time. So... how have you all been? It has been so crazy (and a little crappy) here. Seems like everyone is getting sick or everything is breaking down. My daughter was AGAIN... I think she is going to need to have her tonsils taken out. My great dane wasn't able to walk on Saturday morning. The vet had to come to our house to check him out. (Luckily, he is up and slowly getting around again on lots of pain meds.) Our riding mower broke while I was cutting the grass. It wasn't anything major and it is still under warranty, but it had to be sent off to the manufacturer to be fixed which will take about 2-3 weeks to get back. So my grass is only half cut. My neighbors are probably going to start complaining soon. Don't they say bad things come in threes? Hopefully that will be it for me for a while. OK... I will quit complaining and share a few cards with you all. The first is my Sketch This card for the week. 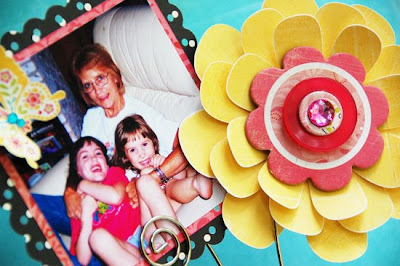 I know you are probably all sick of seeing these flower/scalloped frames, but I LOVE them. So please forgive me for using them over and over. 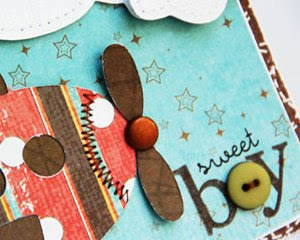 Next is a card I made using Laura's Sketch 23 over at 2 Sketches 4 You. Lots and lots of color here. 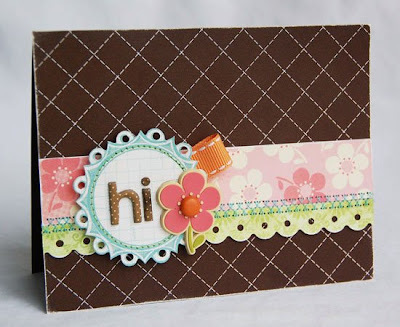 Lastly is a card I made using my March Label Tulip kit. I just needed to use that flower on a project. Well, that is it for me today. Hope you all are off to a good start this week. Thanks so much for stopping by! The first card was made using sketch #82 from Sketch This. Make sure to head over to the blog to see what the rest of the design team did with the sketch. Lots of eye candy over there! For this last one, I used Kazan's sketch #23 from 2 Sketches 4 You. It is the first time I have worked with a 2S4Y sketch, and I am not sure why I haven't done it sooner. I had lots of fun with it. I kept the card kind of simple, and I really like how it turned out. This is one of my favorite color combos. Well, I guess that is it for me today. 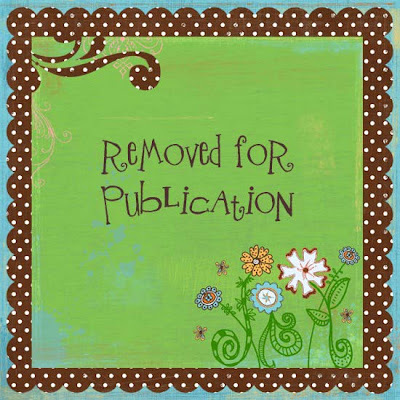 Two blog posts in one week just wears a girl out. JK! ;) Thanks for stopping by!